Robot Mode: Here we have a grey, blue, and green Optimus Prime figure. The mold is pretty much a scaled-down version of the Beast Hunters Voyager Optimus Prime toy (which was then up-scaled again into the "simplified" Voyager Optimus Prime, but that's a different story) and was originally available in Prime's classic blue and red colors. This repaint here, though, is clearly patterned after someone else. That someome being Thunderclash. 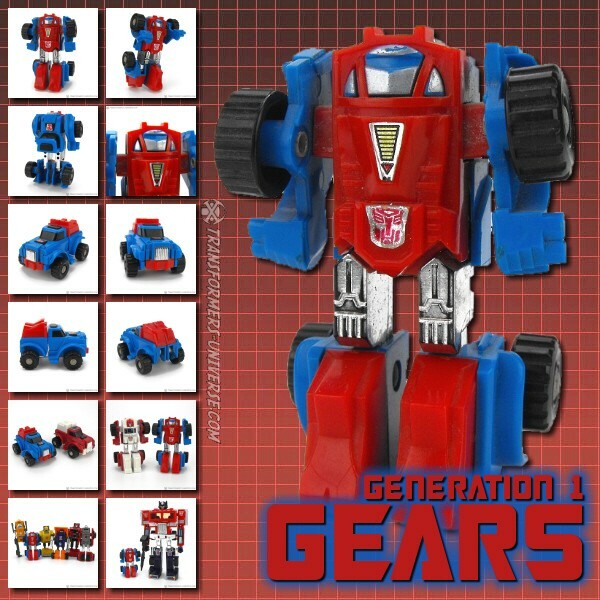 Now the original Thunderclash was white, red, and greenish-blue for the most part. Optimus Prime replaces the white with grey, making for a much darker look overall. He has Thunderclash's rather iconic chest insignia, though, clearly marking him as a homage to that character. The head is still clearly Optimus, though. The rest of the figure is pretty well articulated given the size and offers little room for complaint. Finally, the weapons. Optimus carries an unpainted grey version of the Star Saber and a launcher whose missile can double as a lance or spear, if you want. Personally I prefer the sword as the missile launcher is pretty long and unwieldy, but that’s subjective, naturally. So bottom line: a nice little robot with a pretty cool paintjob. The homage to G1 Thunderclash is a bonus, of course. Alternate Mode: Optimus Prime naturally transforms into the same kind of monstrous truck his bigger cousin does and in much the same way, too, though not identically. The paintjob here pays homage to Thunderclash as well, of course, and you can easily see his peculiar chest insignia here as well, now on top of the truck cabin. The sword and launcher can be stored on either side of the truck. Little else to write here that the pictures don’t show better. A perfectly fine vehicle mode, no complaints. Remarks: This special repaint of the Commander-Class Beast Hunters Optimus Prime was available as part of the Target-exclusive "Predacons Rising" sub-subline together with a repaint of Commander-class Predaking, whom I'll review seperately. Neither Prime nor Predaking ever appeared in-media in these colors and to be honest, I only got the set because a) I had neither of these figures yet and b) I liked seeing a Thunderclash (though not in name) again. That’s pretty much it, though. Bottom line: Optimus Prime looks good in Thunderclash colors and if you can get the set at normal retail price, it’s worth it. Not a must-have, though.